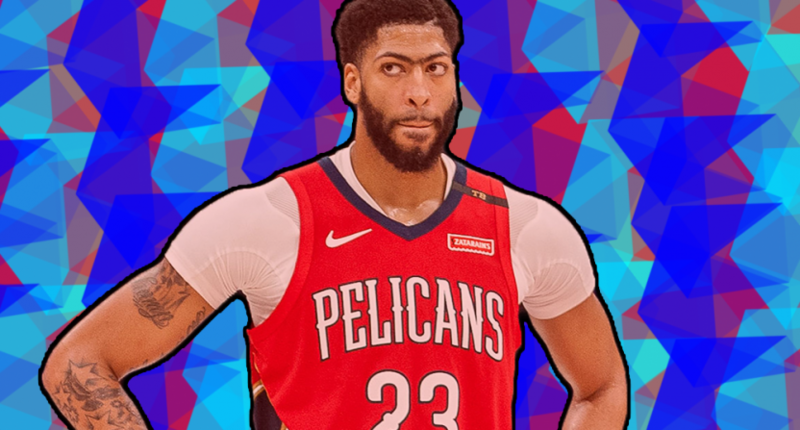 The Pelicans need to rebuild and start imagining life without Anthony Davis. It was just one season ago when the New Orleans Pelicans shocked the Portland Trail Blazers in a first-round playoff sweep and had a surprisingly competitive five-game series against the eventual NBA champion Golden State Warriors. The Pelicans seemed to be on an upward trajectory as a franchise. But, less than a calendar year later, a ton has changed and it’s become clear New Orleans needs to consider a full-roster teardown and rebuild. 2018-19 has been a rough season for the Pelicans. After starting the season on a high note with a 4-0 record, New Orleans slowly fell out of the playoff picture in the West. In January, Alvin Gentry’s squad has lost six of their last nine games. They currently sit 11th in the conference with a 23-28 record. Injuries have piled up, and with those, New Orleans’ competitive window this season appears to have closed. But the Pelicans weren’t completely screwed for the future as long as star power forward Anthony Davis was around. The 25-year-old former first overall pick remains a generational talent, capable of carrying his club on his back with his ridiculous natural ability. Unfortunately for New Orleans, after six and a half seasons and just two playoff appearances with the club, Davis wants out. Part of the reason Davis requested a trade in the first place is GM Dell Demps’ failure to build a competitive roster around him. While Demps has tried to find fits alongside Davis, bringing in Jrue Holliday, DeMarcus Cousins, and Nikola Miortic in recent seasons, his poor roster construction has killed any positive momentum towards winning. Outside of Davis, the Pelicans haven’t drafted or developed anybody notable. Demps’ liberal use of using first-round picks to acquire veteran talent has depleted any young talent from joining the team via the draft. Demps’ draft record is not good. Looking at the Pelicans cap situation shows exactly why the Pelicans are in a hole. Demps has given role players, such as centers Omer Asik (five-year, $60 million) and Alexis Ajinca (four-year, $20 million) and small forward Solomon Hill (four-year, $48 million) stupid money. That’s hampered him from being a big player in the free agent market. While I can’t fault him for spending max money on Davis or point guard Jrue Holiday, Demps hasn’t done enough elsewhere despite being gifted a franchise player. I mean, he thought point guard Elfrid Payton would be a suitable starting guard for a supposed competitive team. So, while acquiring Cousins, Mirotic and Holiday wasn’t necessarily a bad strategy, Demps has been so focused on building a top-heavy team, the bottom has cratered. His teams lack any depth or upside past his big players. Demps needs to go, and having him run the Davis negotiations is a recipe for disaster. New Orleans is in a tricky situation. They can keep Davis, their franchise player who wants out, for the rest of the season and figure out what to do with him this summer, Or, by dealing him sooner than later they can maximize his value. Holding onto him and hoping he can sneak them into the playoffs would be a largely pointless, desperate ploy. For the first time since 2016, the Pelicans own a first-round pick and the more they lose this season, the higher the chances that pick falls in the top ten-ten and the team can nab a good, young player. Davis clearly wants to join LeBron in L.A. and the Lakers have the young assets in guards Josh Hart, Lonzo Ball and forwards Kyle Kuzma and Brandon Ingram to make a deal happen. It would be tough for Demps to go along with the LeBron-Davis-Rich Paul trade ploy, but the Lakers could offer a great package right now to start a rebuild. Ripping the bandaid off won’t be an easy decision, however. Holiday said AD is “like 90 percent” the reason I stayed in New Orleans. Even if the Pelicans keep Davis for the rest of the season, the clock has already started on building through the draft and acquiring young talent. With Davis wanting out, the Pelicans lacking future assets and good young players, and the team heading nowhere, a full-scale rebuild seems like the only direction to head in. It’s going to hurt to see the roster tore down and the team bottom out, but if New Orleans ever wants to see a championship, that’s what’s got to happen. This group isn’t winning a title. It’s time for a change.